Band Aid. For Aiding you in your bulk Jewelry Supplies. 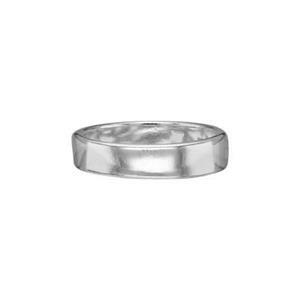 The SR426 – a bright Sterling Silver 4mm ring band, size 5. Pretty as is – or even lovelier with a little stamping or engraving embellishment. Please see our full line of Ring Bands.